Research Data Services Blog | Research Data Services, jointly supported by the Libraries and CUIT, provides support and consulting for research data needs at Columbia University. Helping with many aspects of the research data lifecycle including research data management, finding data, recommendations for cleaning and understanding data, mapping and data visualisation. This week we learned pandas, which is a package built on top of Numpy. It has Dataframe as its core data structure which is very useful for dealing with table data. Dataframe is made up of multidimensional arrays with rows and columns. It supports heterogeneous types and missing data, which is a great feature. Pandas is great for loading files. It has different functions for reading csv, excel, html and sql. For example, if we want to load csv file, just use function read_csv(). After this, the file will be loaded automatically as a dataframe. We can use function head() to check the first five lines of dataframe. This function will show column indexs and row indexs too. Another statistical function is describe(), it will show statistics like mean, std, min, 25%, 50%, 75%, max on each column. To learn dataframe, we should have a good understanding of Series first. Series is very similar to List. The difference only is that Series has index for each element. For the above example, we can see that the index for value 0.25 is 0, the index for value 0.5 is 1,… That’s what index of Series looks like. The index of Series can also be characters. To access value 0.50, we can use “series_data[‘b’]”. Dataframe is similar to Series, the major difference is that it is multidimensional. Other features in pandas are also introduced, like unique() or dealing with missing values by function fillna(). In all, pandas is a very useful tool to deal with table data and do the analysis. This entry was posted in Open Lab on November 19, 2018 by ks3611. 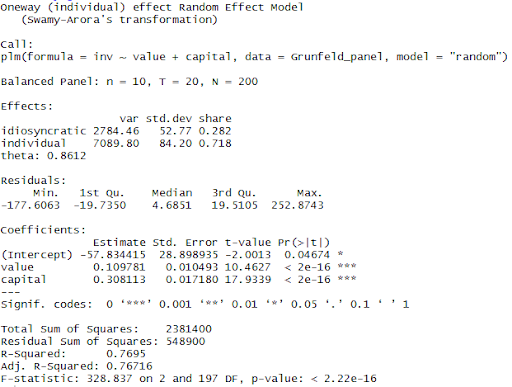 In the ‘plm’ package blog (2), we’ve gotten regression outputs for both fixed and random effect models. 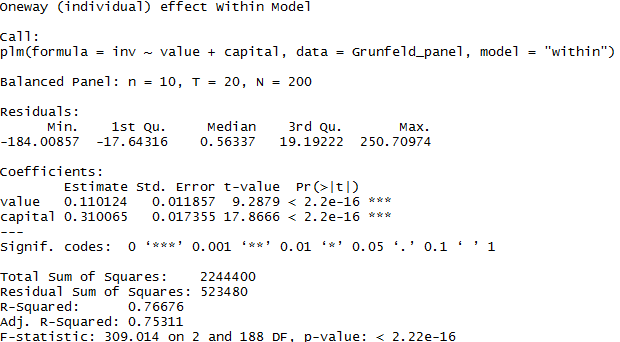 One common question after getting regression output is to figure out which model should be chosen using Hausman test. The fixed effect output is names as “grun.fe” and the random effect output is names as “grun.re”. The function of Hausman test is phtest(). The null hypothesis of Hausman Test is that the preferred model is random effects, and the alternative hypothesis is that the model is fixed effects. 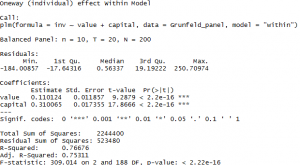 If p-value is less than 0.05, reject null hypothesis. 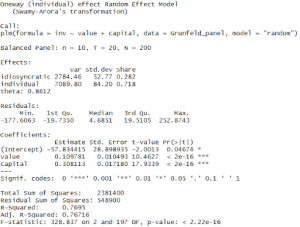 In this example, p-value is greater than 0.05, so we choose random effects model. Or we could combine the two steps above together, and write syntax as following. This entry was posted in Statistics & Data and tagged R on November 16, 2018 by Wei Yin. Today we covered the topic of data manipulation. We first reviewed the basic ways to subset data frames such as logical expression and subset function. Then, we looked at ways to combine, merge, and split data frames. Finally, we covered the usage of package plyr. This entry was posted in Open Lab and tagged R Open Lab on November 13, 2018 by Brett. This week we learned functions, which is very important for programmers. Functions are useful for procedural decomposition, maximize code reuse and minimize redundancy. Functions should be declared like a variable before using. ‘def’ is the keyword to show that we are defining a function. ‘function’ can be replaced by the function name. After declaring a function, we call it when we want to use it. In the above example, we define a function called ‘printHelloWorld’ in line1 and line2. In the line3, we call it by its name. Function parameters are values passed into the function when we call the function. By using parameters, we can introduce variables outside into the function. The return value is to show the result of function to the main program. 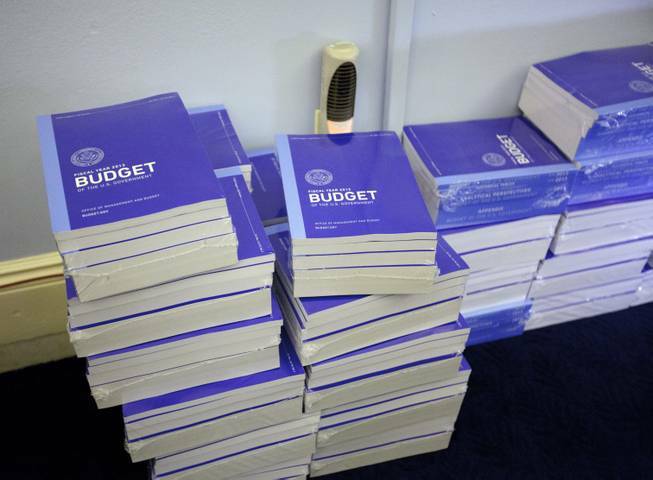 So main program assigns a task to the function and function executes the task. After the execution, function gives the result to main program. In this week, we continue to learn string, which is very important. Loop is also introduced. Examples like loop for a list, loop for a dictionary or loop for a string are taught. We learned some useful functions of string. We talked about type conversion, like changing variable type from int to string or string to int. Then we learned loop, which is about repeat steps/statements. We looked at the ‘while’ loop. ‘While’ loop can use an iteration variable to control the loop. There are generally two types of loop, finite loop and infinite loop. Finite loop stops when the termination condition is satisfied any more. Infinite loop never stops because the termination condition is never met. We learned ‘for’ loop then, which is very useful for iterating over a sequence. ‘for’ loop in a list is iterating over all elements in the list. ‘for’ loop in a dictionary is iterating over all keys of elements in the dictionary. ‘for’ loop in a string is iterating over all characters in a string. With loop, we have the tool to scan data structures like list, dictionary and string without writing duplicate code.